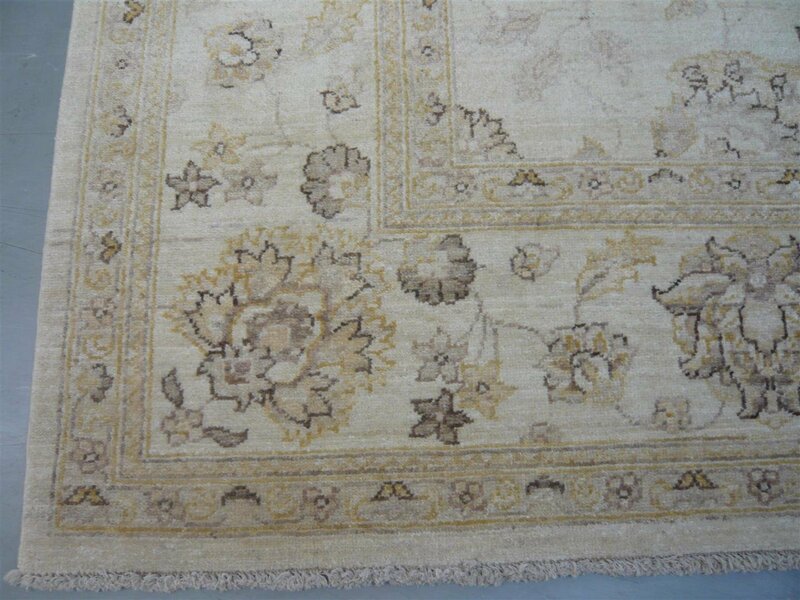 This hand knotted, wool rug on a cotton foundation was handwoven using hand spun wool and natural dyes in the northern Afghan/Pakistan border area. 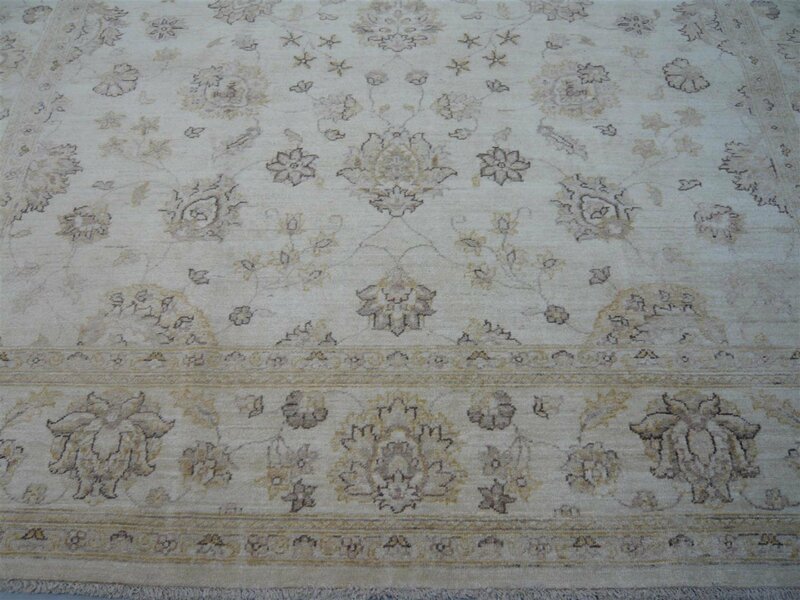 Typically designs are taken from Old and Antique Persian Ziegler rugs from the 18th and 19th Century. These rugs, which fetch many 10's of thousands of pounds today, feature more open designs than some of the more recognisable Persian rugs such as Keshan, Sarouk and Mahal. 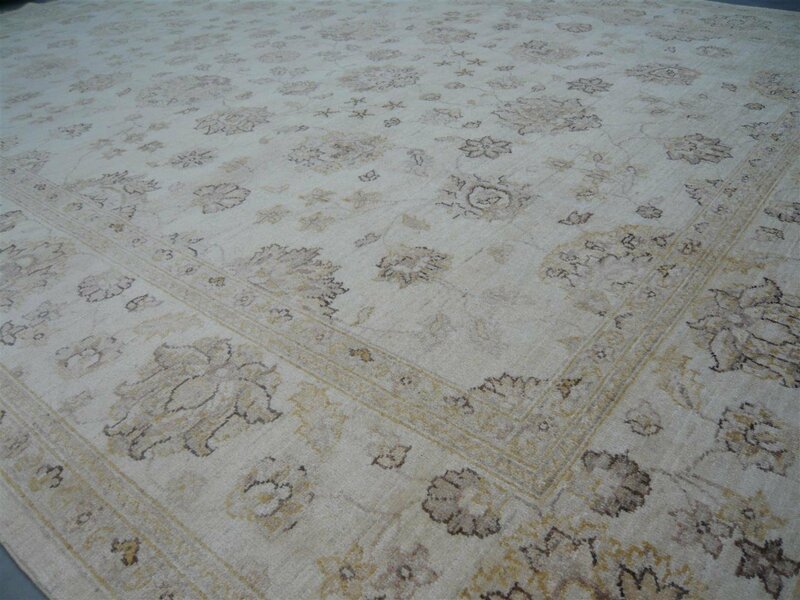 Although still floral based, modern Ziegler designs are more open and less detailed with larger flowers and much more open space in the field of the rug. 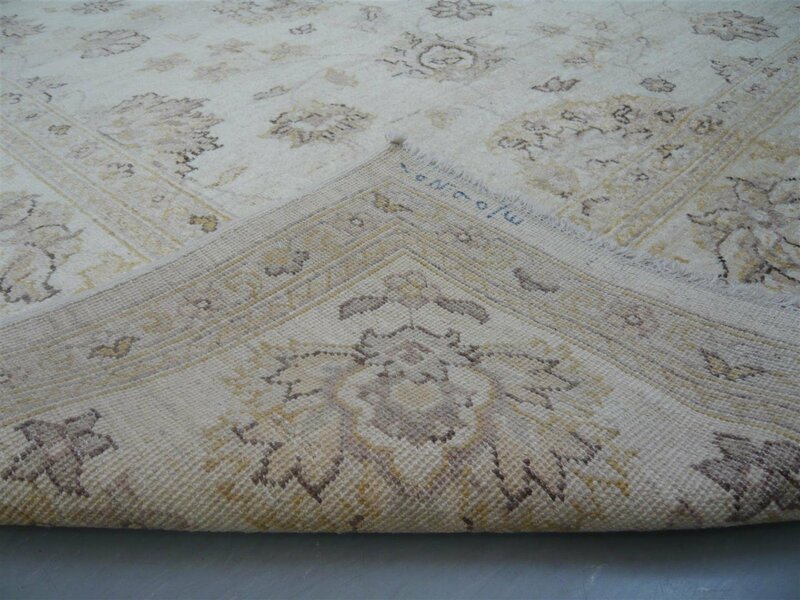 This particular piece has an overall pale ground and border. Colours are soft and muted and include creams, beige,and golden yellows. Pale and mid browns highlight the floral pattern. 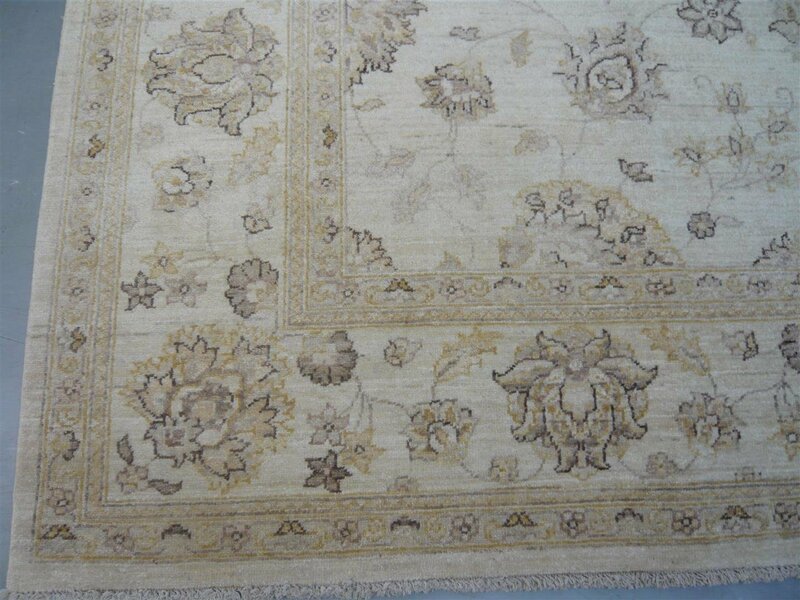 Overall the rug has a pale and muted feel to it - an almost aged appearance. 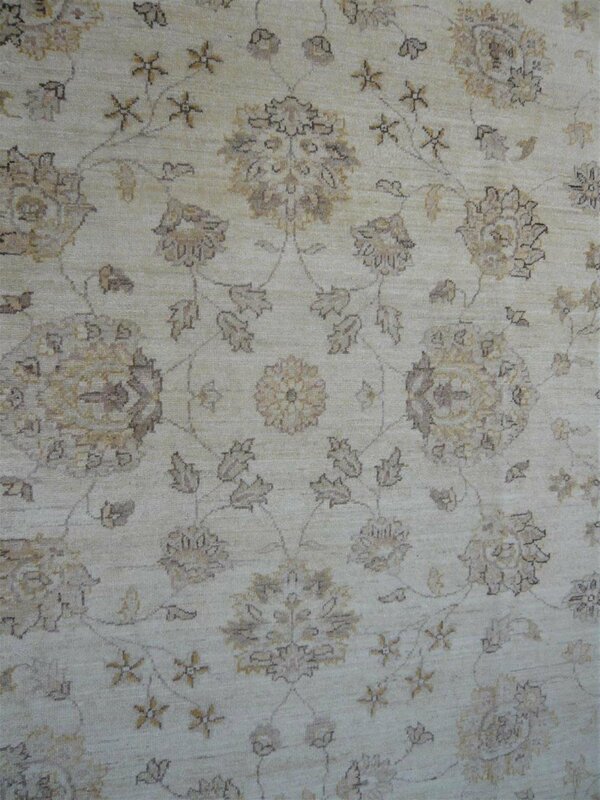 The range of colours should make it a very suitable rug for matching with both modern and traditional décor. 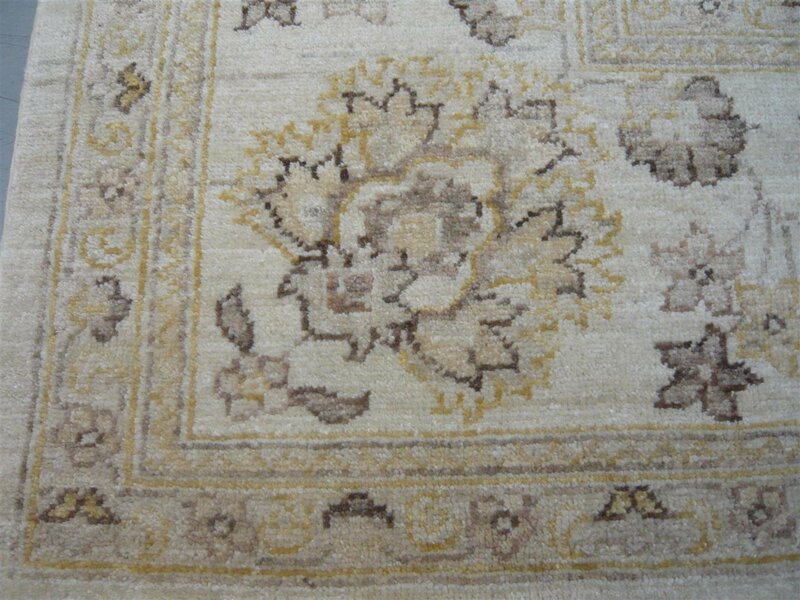 As with all our rugs you can try this piece at home on approval or if you would like to see a selection of large room sized rugs at home simply telephone our showrooms to discuss your requirements. Our friendly and knowledgeable staff are on hand to help you. 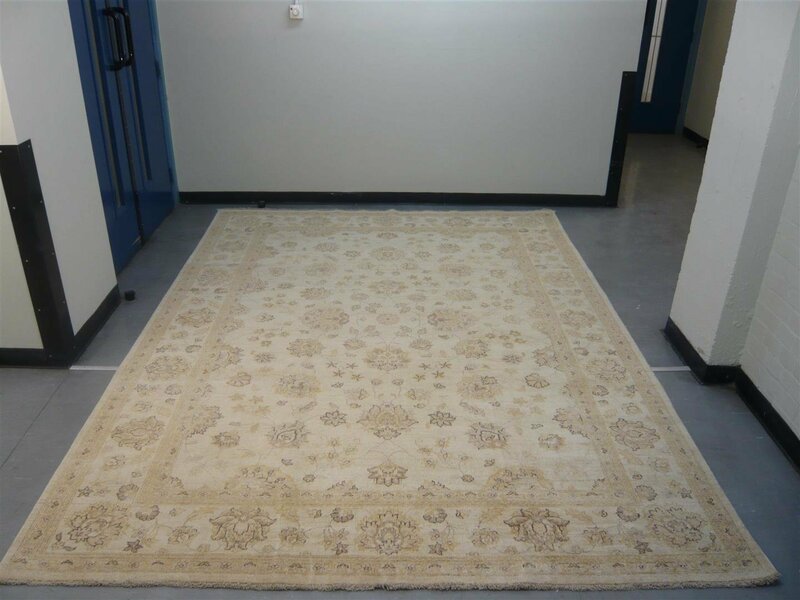 This rug measures 10 feet 10 inches long by 8 feet 1 inch wide. ( 3.30 x 2.45 metres ).